MouseHunt is a Facebook game of epic proportions. You are a hunter, hired by the king to find and trap the mice that infest his kingdom. For each mouse you catch, you’ll find a unique reward, bringing you closer to being the best MouseHunter in the land! From time to time the developers add new locations and mice as well as sponsor periodic giveaways and tournaments. MouseHunt was developed by HitGrab, Inc. and released to a small group for beta testing in early 2008. On 7 March 2008, MouseHunt was officially released to the general public. Just nine months later, MouseHunt earned its creators a $250,000 development grant from Facebook and the game continues to grow in popularity. The Facebook application is rated 4.5 out of 5 stars (4916 reviews). 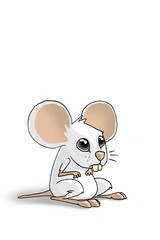 You can find out more at MouseHunt Wiki. Check out this application on Facebook; or, become a fan of sgcGO. For privacy reasons, this Stalker Check app only lists facebook users who have interacted with your profile at least once during your friendship (e.g. by writing on your wall, or liking something). Real stalkers (the creepy kind) are protected by Facebook Privacy, and will never be revealed, by this or any other app. Found this Facebook profile checker cool? Share in the comment or explore other cool stuff in the Internet. Also, sgcGO would love to have you as a fan on Facebook. Become a fan now.